Astronomy Pictures from this trip. My main Davis Mountains Scenic Pictures page is here. Once again I had a few stormy days on my 2016 astronomy trip. I was hoping for an awesome rainbow and ready to capture it. 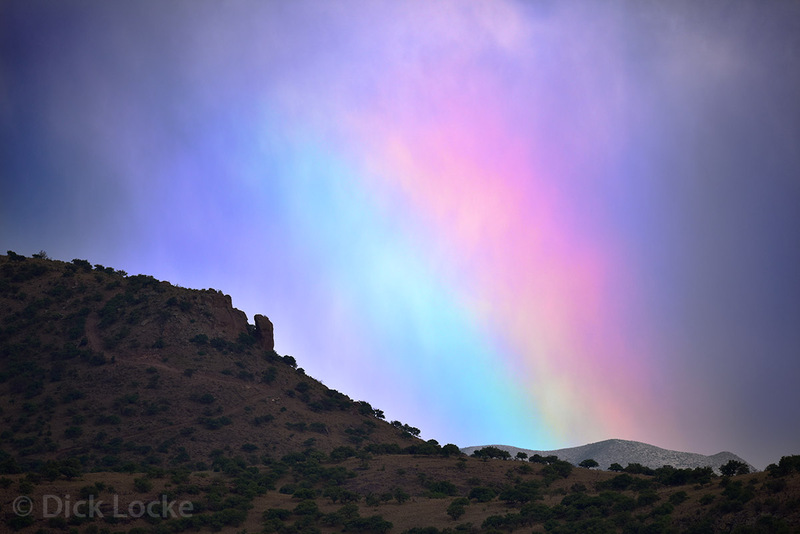 Instead, there was a fragment of a rainbow to the right of Blue Mountain. This is a telephoto shot processed to bring out the colors. This photo could be confused with a sunrise, but that is in fact the Moon peeking over the left edge of Blue Mountain. It's not enough to wash out the Milky Way on the upper right. (If the Sun were rising the sky would be blue and no stars would be visible). I cranked up the shadow detail to show some detail in the valley below. 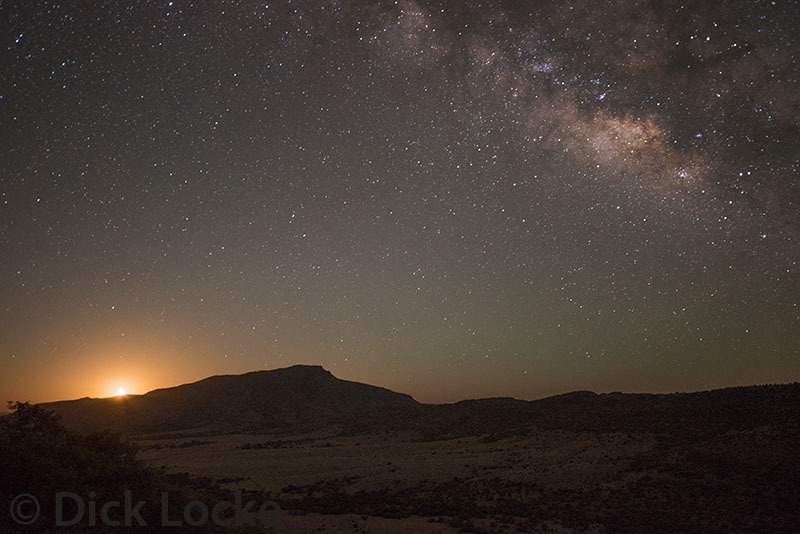 You can also see the effects of "airglow" manifesting as a greenish band near the horizon. I took a number of time-lapse sequences. Here's where the videos are published to-date. This is a panning timelapse featuring the Milky Way; first Monday Nikon D610. Clouds, Lightning, and the Milky Way - Most of two nights and one day.